Description:St Joseph's Roman Catholic Church on High Street in Goldenhill. 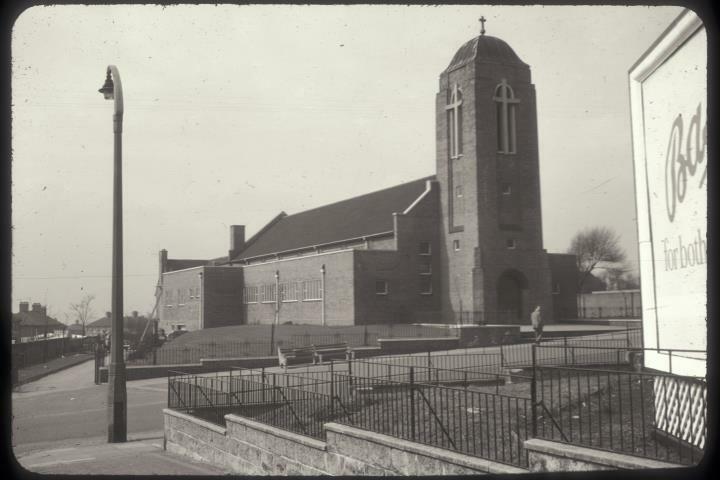 The brick built church was constructed between 1951-53, replacing an earlier school, chapel and mission in Breakespeare Street. There is an adjoining presbytery behind. The tower and belfry has a copper dome. 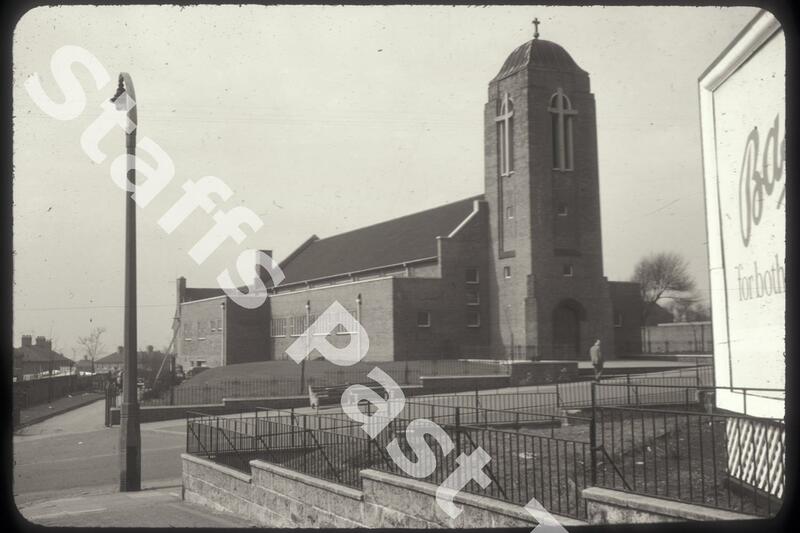 The photograph was taken from the corner of Colclough Lane, opposite.